Zombies! Everyone loves zombies! It’s not like we haven’t played a million and one zombie games in the past few years right? Don’t you want to play another game about zombies!? Deep Silver thinks you do, and that’s why they are making Dead Island 2, the sequel to the questionable hit that made paradise into the apocalypse, Dead Island. We got a chance to see this game at E3 2014 this year. Here’s what we thought. First of all, the tone of Dead Island 2 is way different from Dead Island 1. This isn’t a game where everyone is somber, sad, and coming to grips with the fact that they probably won’t survive the zombie apocalypse. 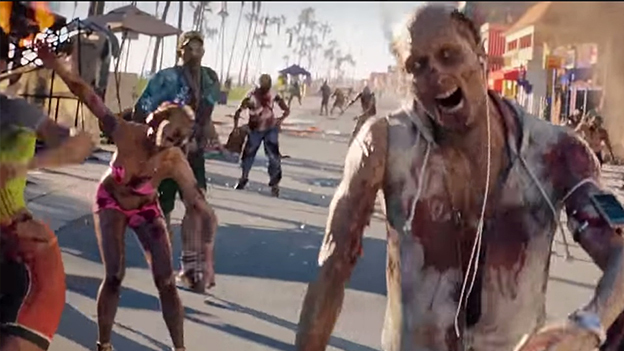 No, Dead Island 2 is taking a page from the book of Sunset Overdrive and is making zombies fun. Heck, all you have to do to see the change in tone is watch the trailer, which shows a sort of pretentious Californian jogger slowly turning into a zombie on a morning run. Oh yeah, the game takes place in California now, which the developers said was to further the idea of paradise turned into a hellhole. As an east-coast New York/New Jersey resident for life, I have to say their definition of paradise is a bit biased… but I digress. The cool part about this new setting is that you get to actually get to visit Californian landmarks. You can throw zombies off the Golden Gate bridge, smash them into the Hollywood sign, heck you could even run through swarms of zombies in downtown LA, which Deep Silver was keen to point out considering that’s where E3 is held. I honestly hope that they let us run through a zombified E3. That would be awesome. 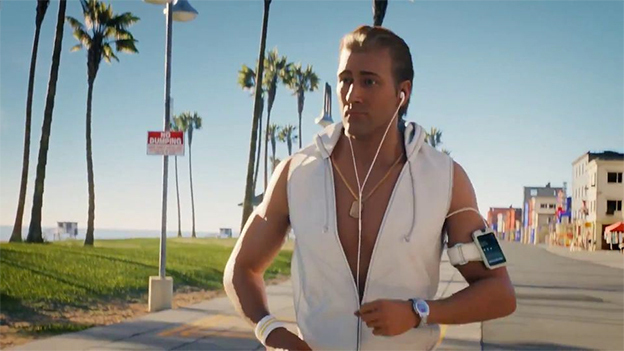 The plot of Dead Island 2 revolves around two new characters, Max and Rick Furry. Yes, Rick Furry is a Nick Fury pun, as the cat iooks battle scarred and is missing an eye. You are immune to the zombie plague, but Max is not, and he is on a quest to find other people who are immune in order to rebuild society… or just have fun. You’ll drive around in his decked out battle van as you make your way through the zombie filled sunny streets of Cali. Oh yeah, and the developers, Yager, were very proud to mention that they actually motion captured a real cat in order to animate Rick Furry. If Yager sounds familiar, that’s because they are the development studio behind games such as Spec Ops: The Line, and there is no way that Dead Island 2 could be further from that military masterpiece. The game is incredibly melee focused, and you’ll be able to use tons of interesting weapons from knives to chainsaws to take down your undead foes. You’ll also be able to duct-tap together Dead Rising style improvised weapons. For example, one of the weapons we saw was a fanblade at the end of a weed whacker. Another was a chainsaw with a nail gun taped to it. You will scavenge parts for these weapons throughout different missions, and can craft them at any workbench you find. However, the game will feature much more than just melee combat. For example, you will be able to set traps for zombies. You can set off a car alarm and start blowing up explosive barrels around the cars when zombies rush to see what’s up. You can dual wield weapons, either hacking through zombies with two machetes or carrying a gun at your side just in case. You’ll have to deal with human enemies packing firearms at the same time as the undead, but both of these enemies operate with different A.I.s so you can, in fact, use the zombies against your human foes. 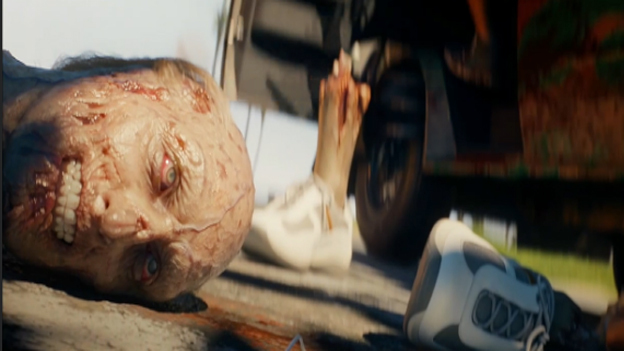 Dead Island 2 certainly looked fun, but the big question is “is it Dead Island?” That’s a hard question to answer. Honestly, it’s hard to take this game seriously and that’s a good thing. It feels like it’s lampooning all the zombie games that we have played in the past, and because of that it looks like a more fun game. 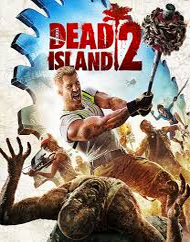 However, at the same time people who played the original Dead Island might be looking for something a little more serious, and unfortunately you just aren’t going to find that here. This is the sort of game where you skateboard down the street with a lawnmower taped to a shopping cart, not the sort of game where you cower in a safe house waiting to take that one last breath with the woman you love before the zombies get in. Combat! Fight against hordes of zombies as well as human enemies ? visceral melee combat at its best.